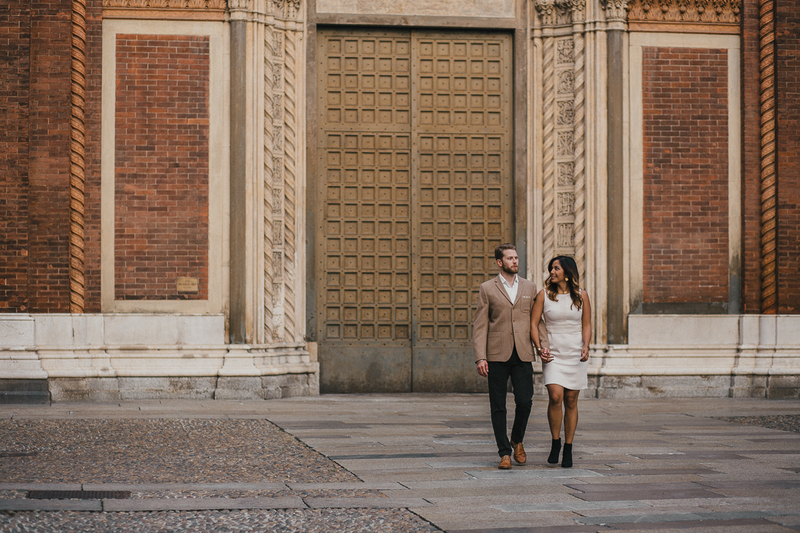 Engagement photos in Milan with Kyla & Scott – The engagement photos session in Milan whit Kyla and Scott has been really funny and creative. 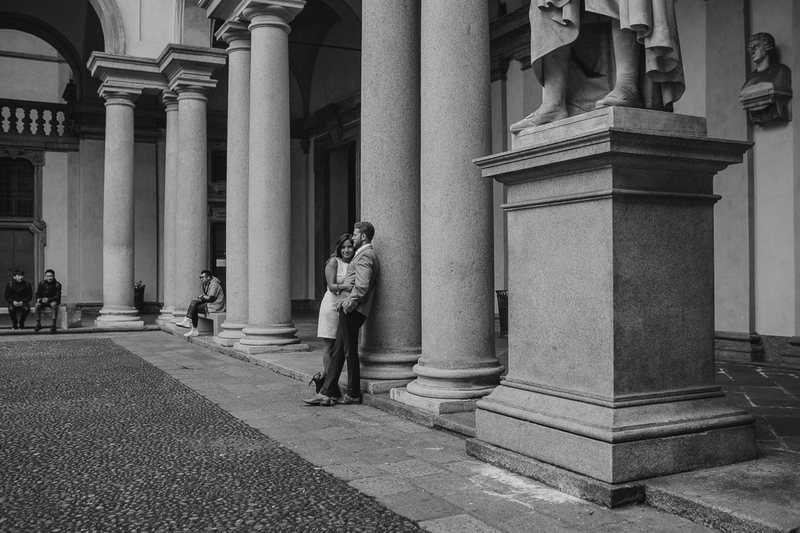 They wanted something not too much touristic. 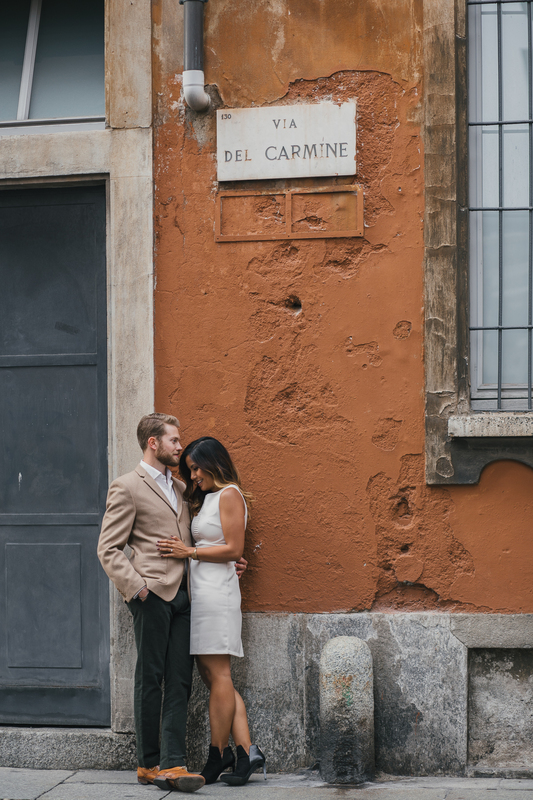 It means no Duomo cathedral for example! 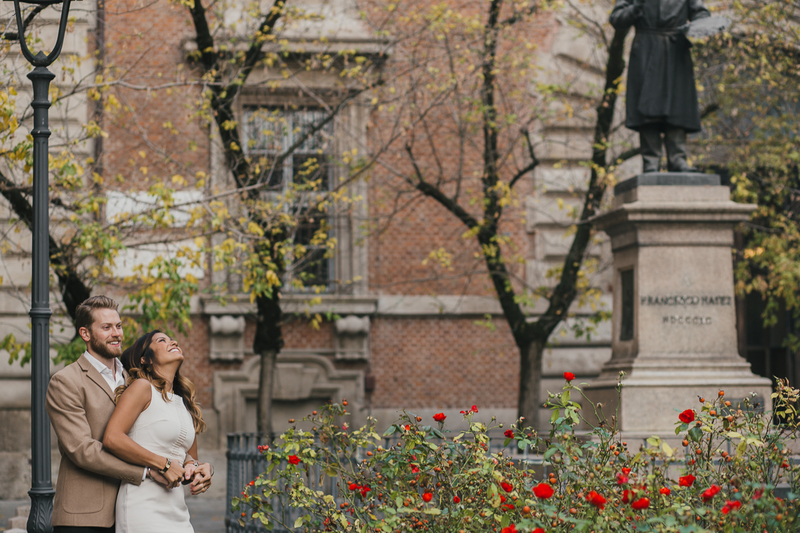 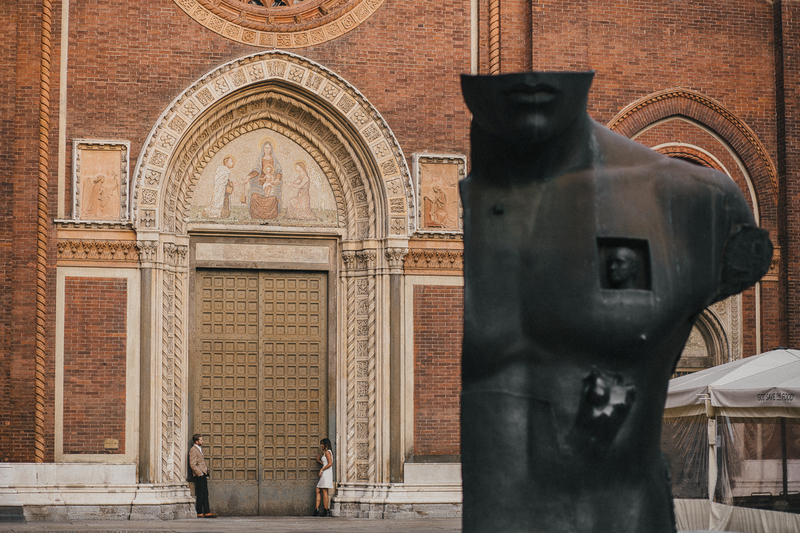 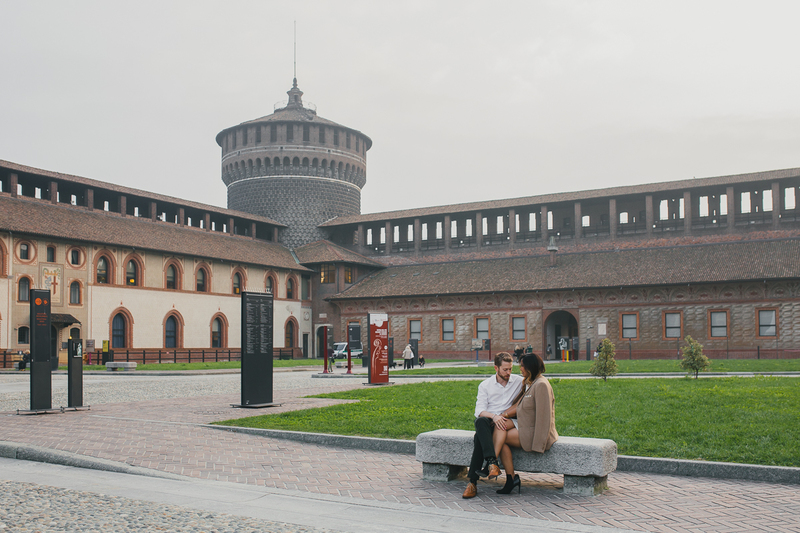 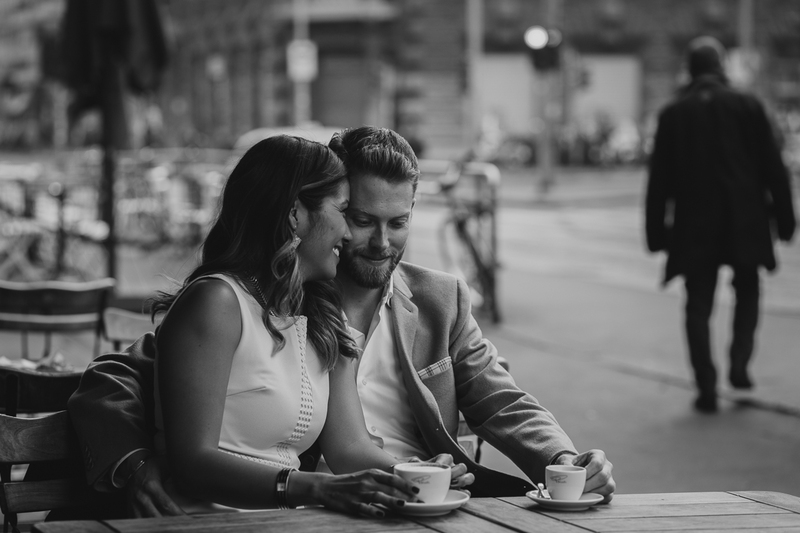 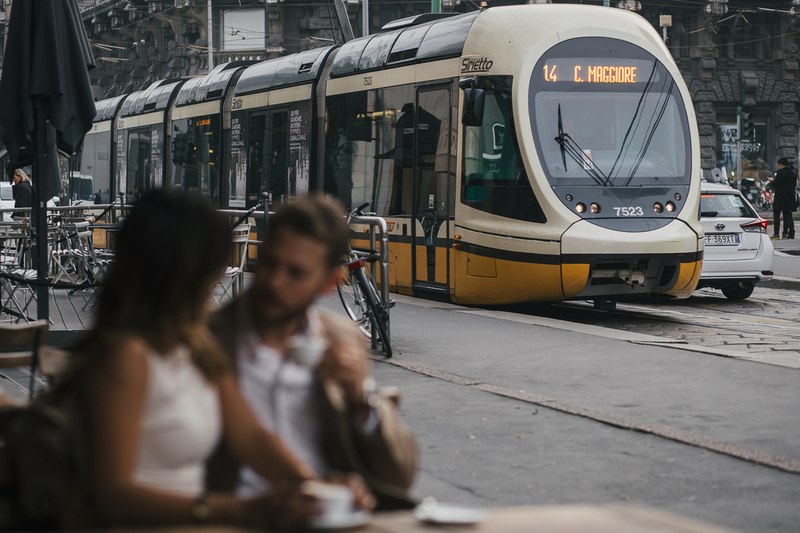 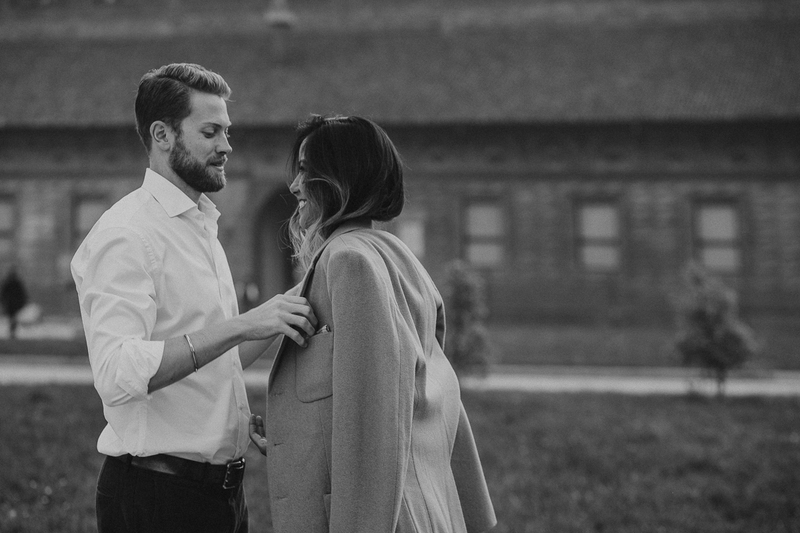 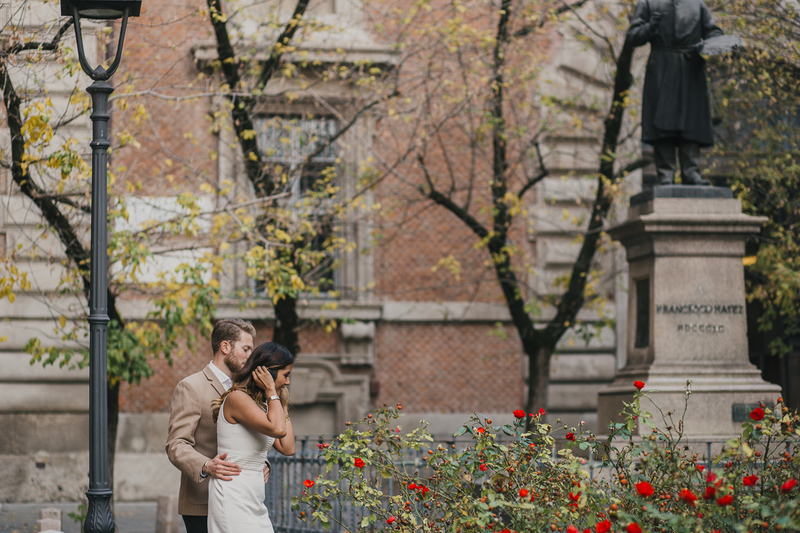 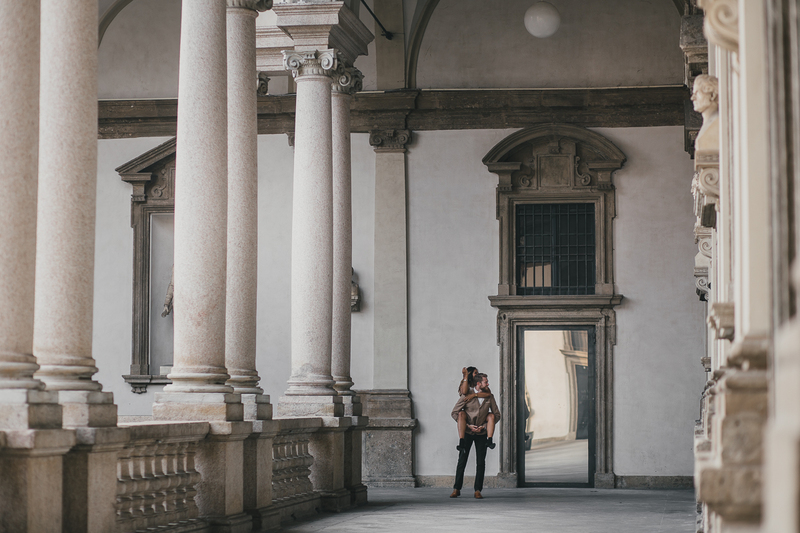 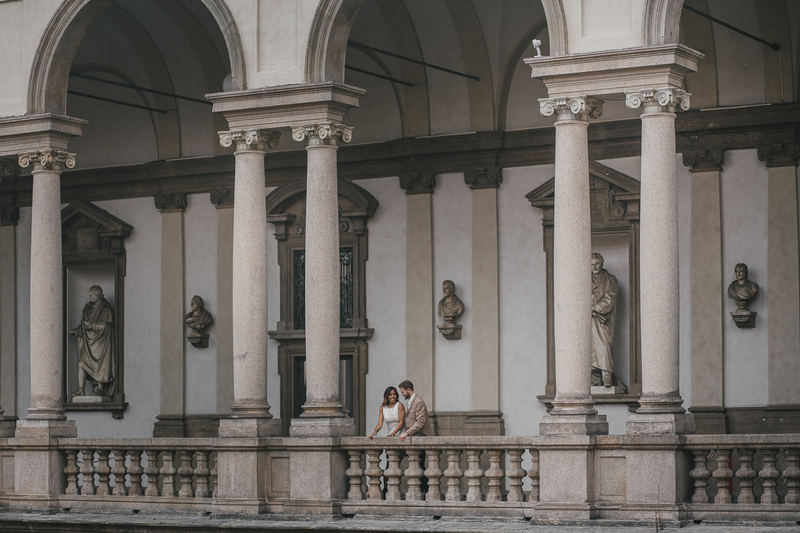 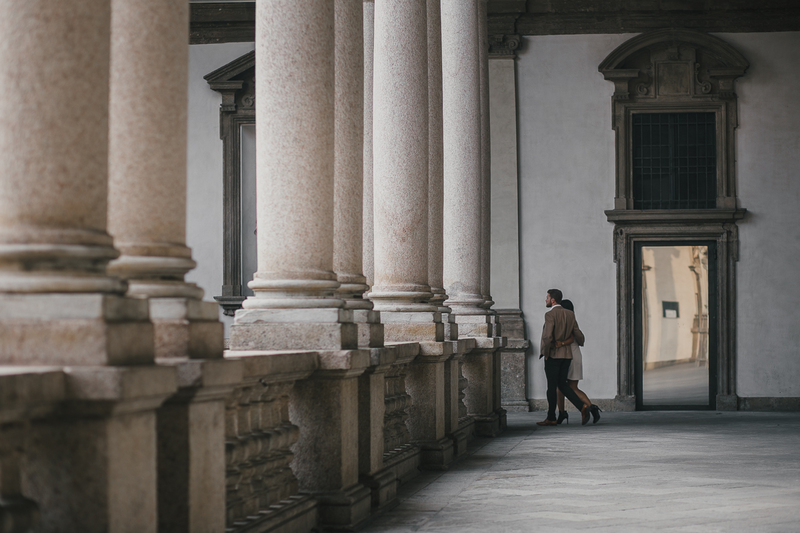 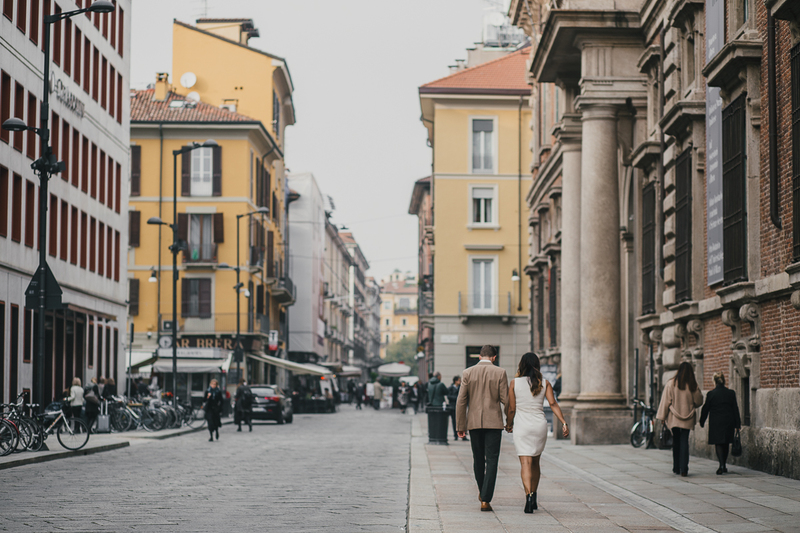 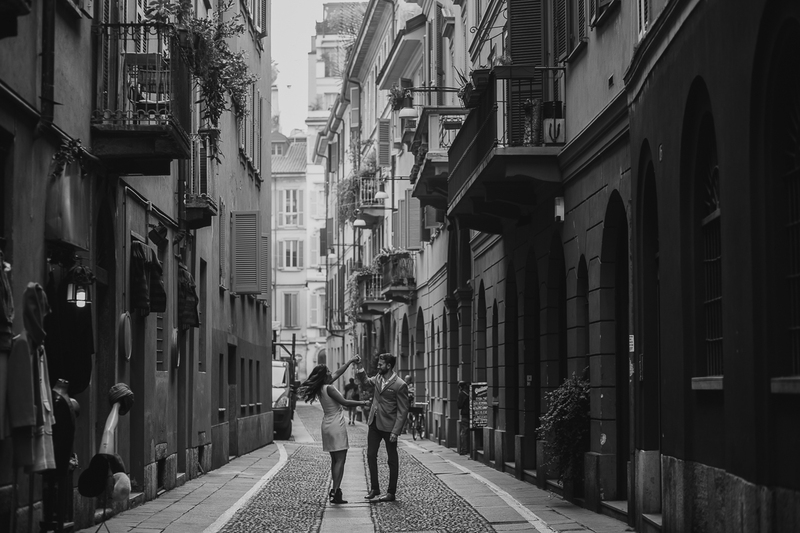 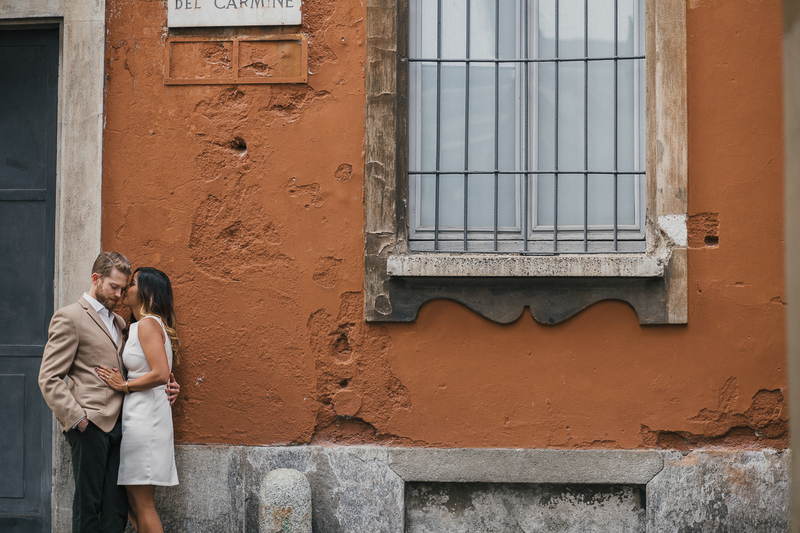 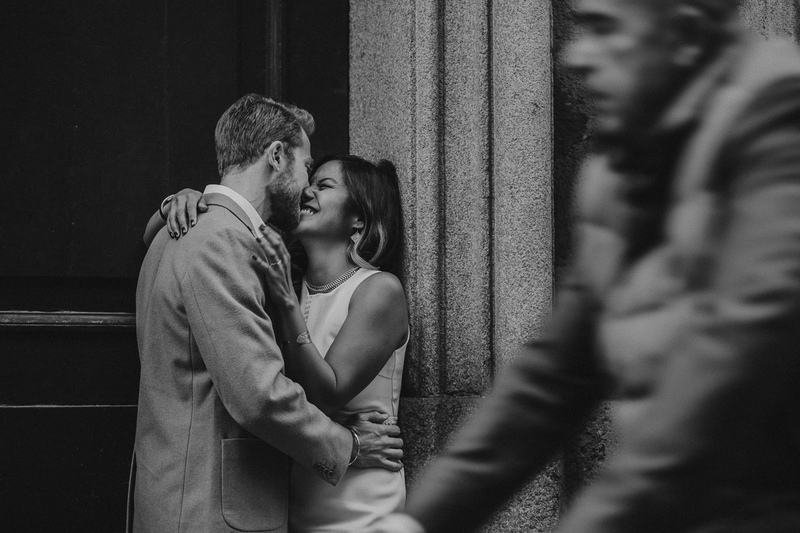 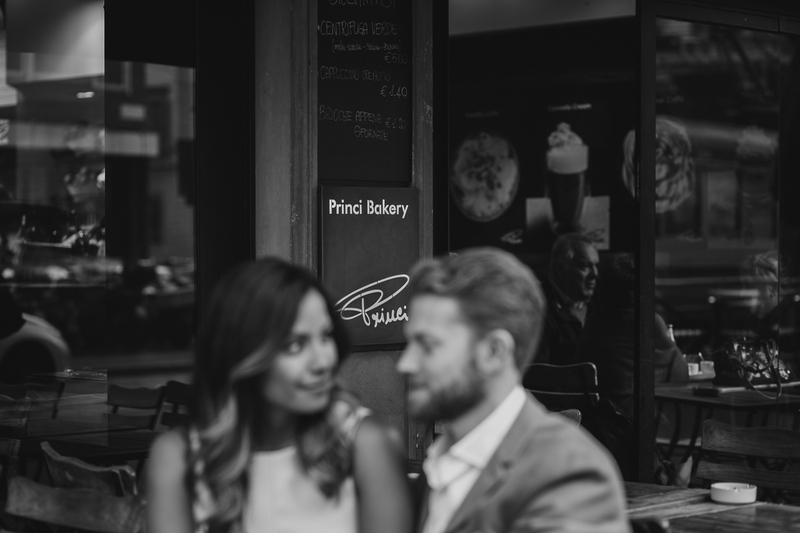 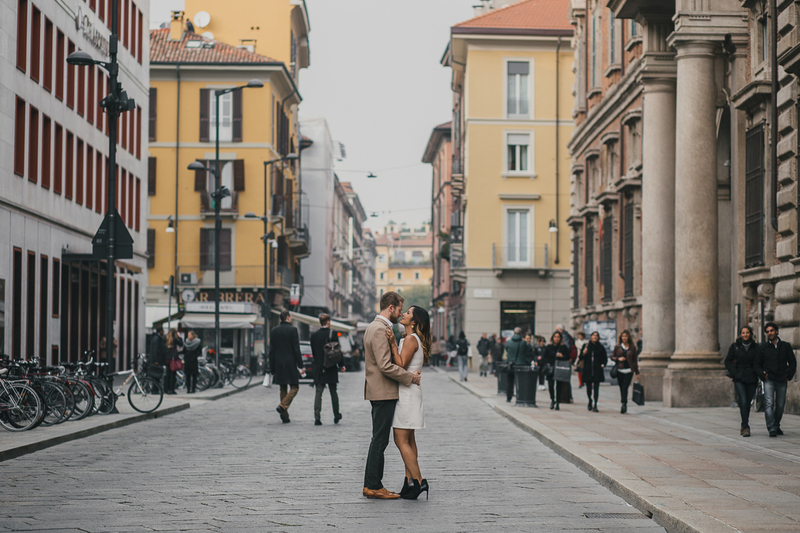 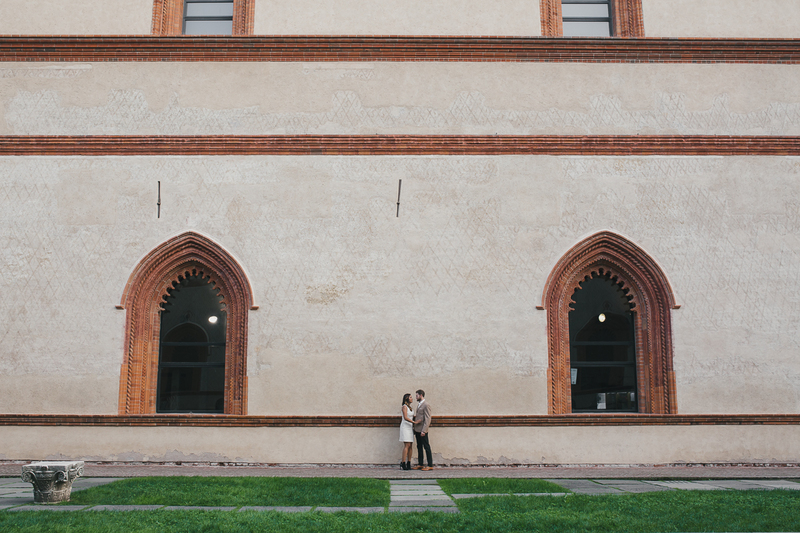 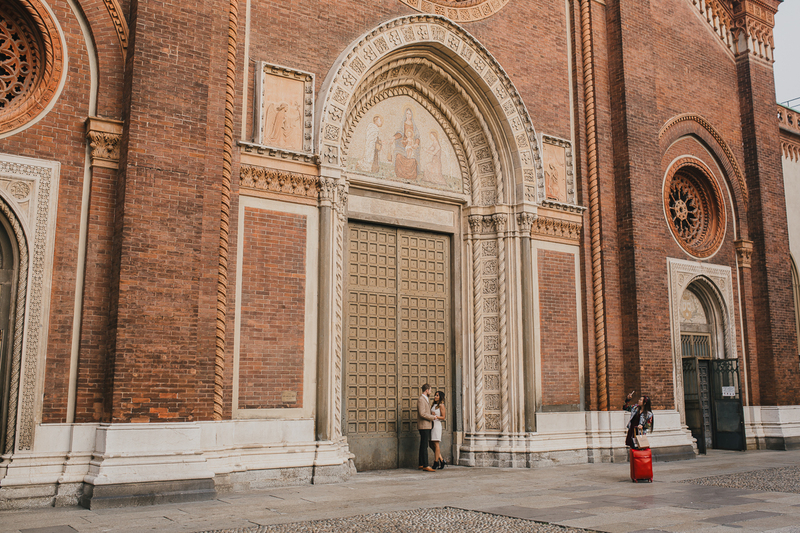 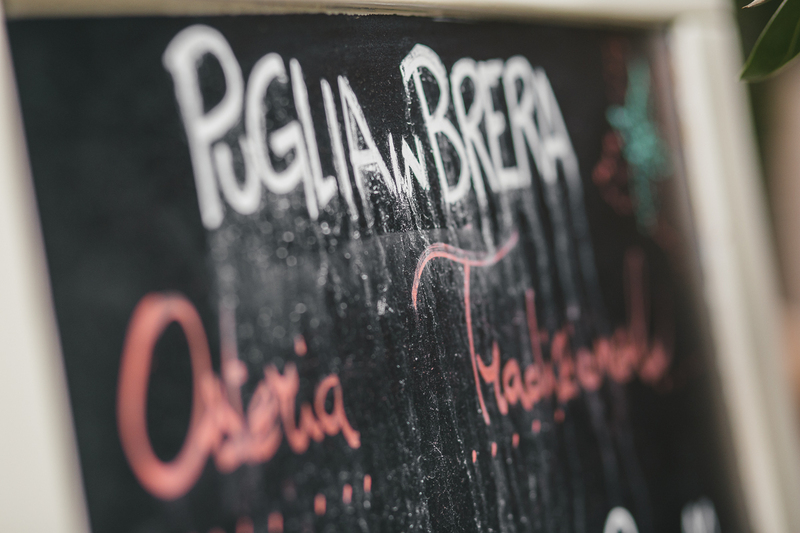 For this reason we choose the Brera area for this engagement photo session in Milan. 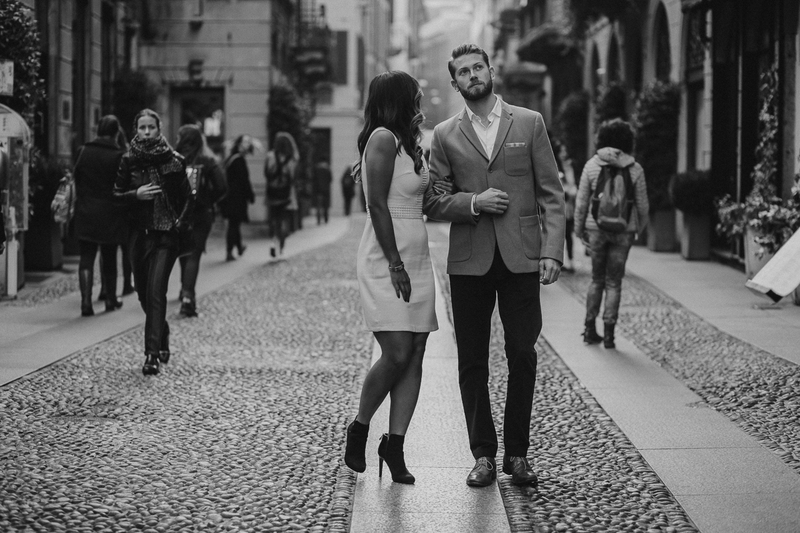 Kyla and Scott came from New York City and were enthusiastic to discover some new places in Milan! 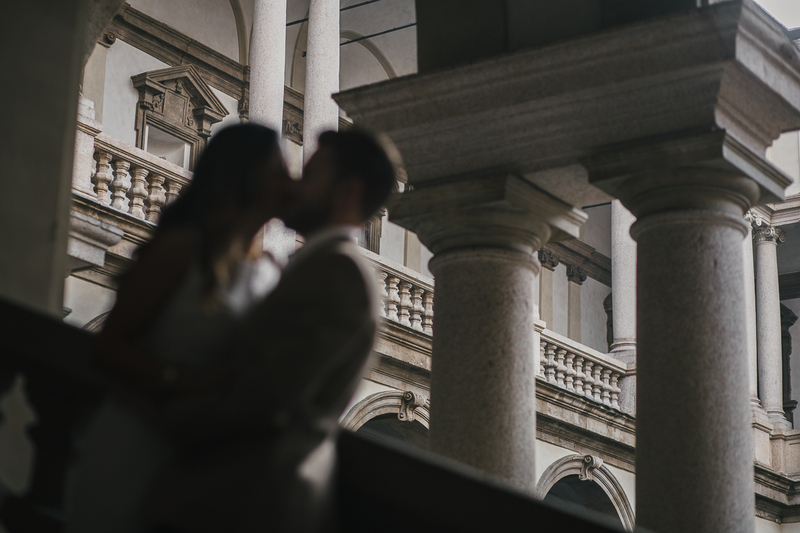 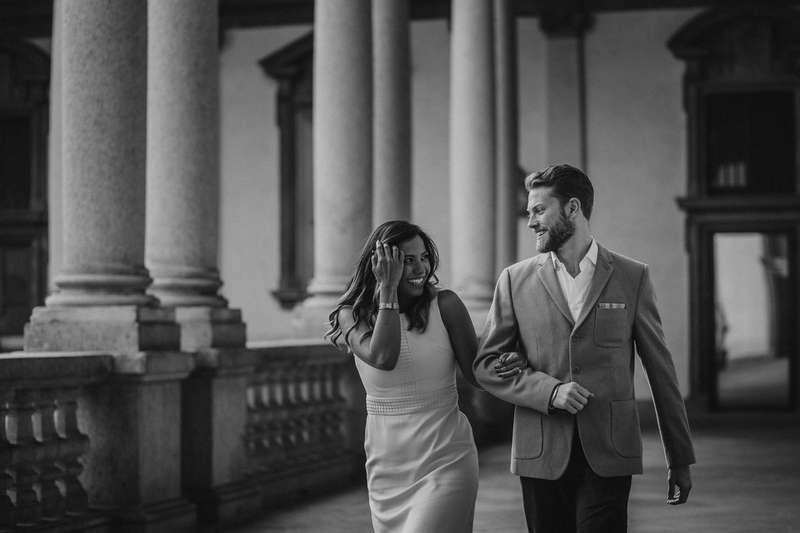 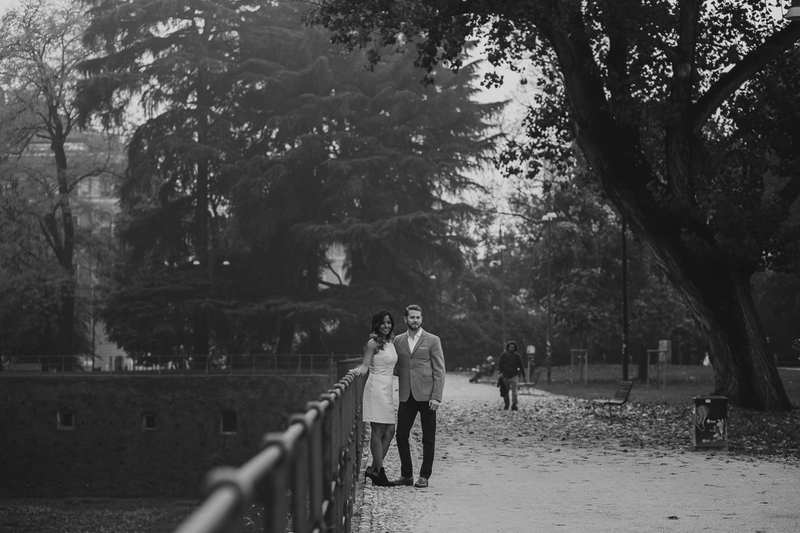 Would you like to discover some others engagement photos session in Milan? 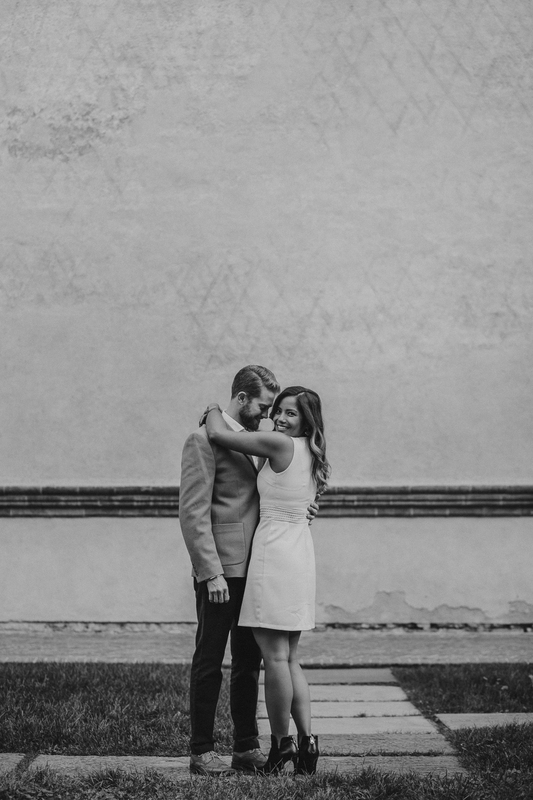 Look at this lovely couple from Hong Kong! 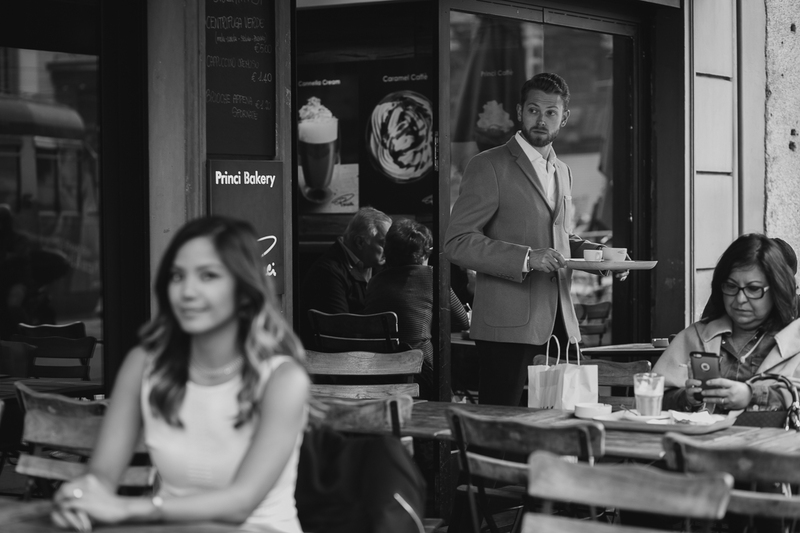 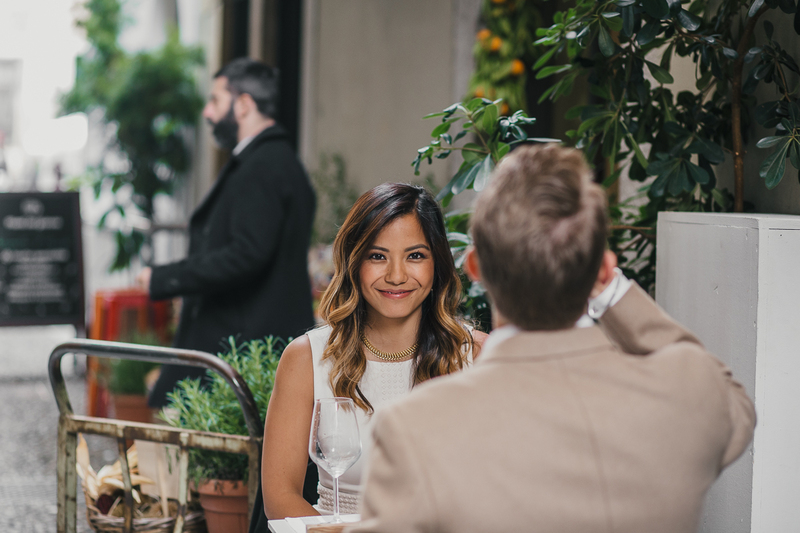 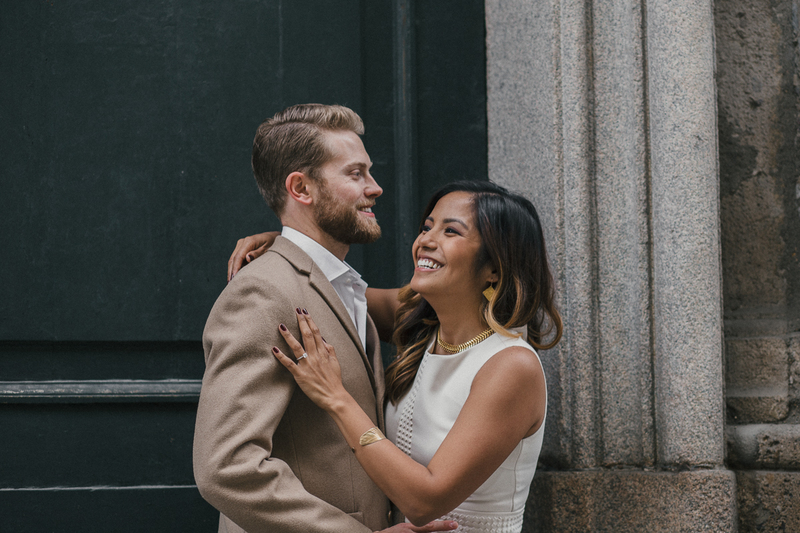 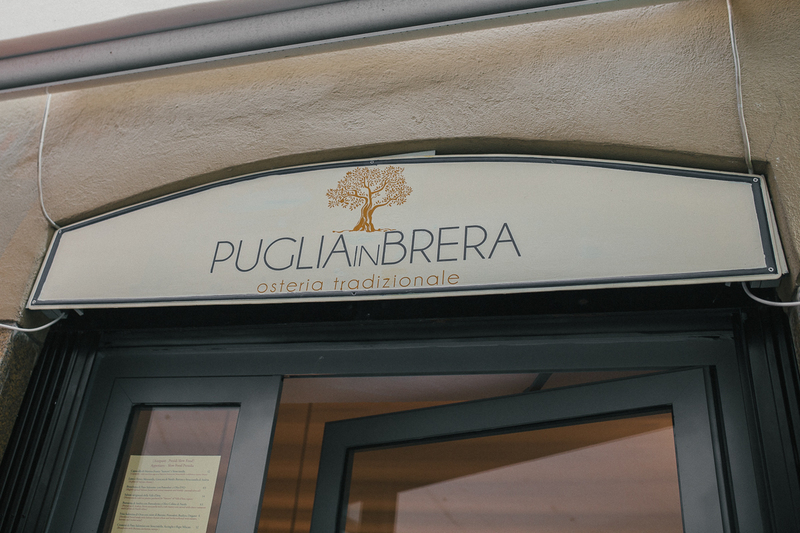 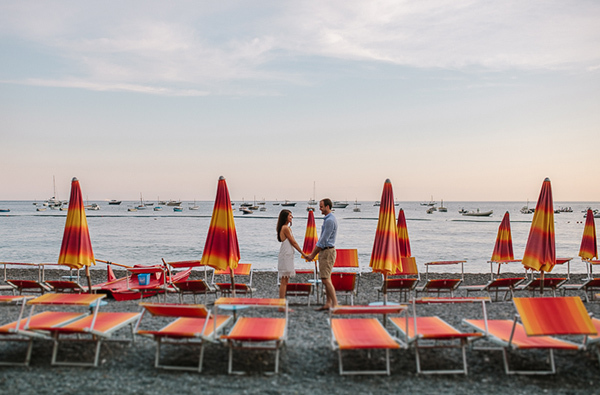 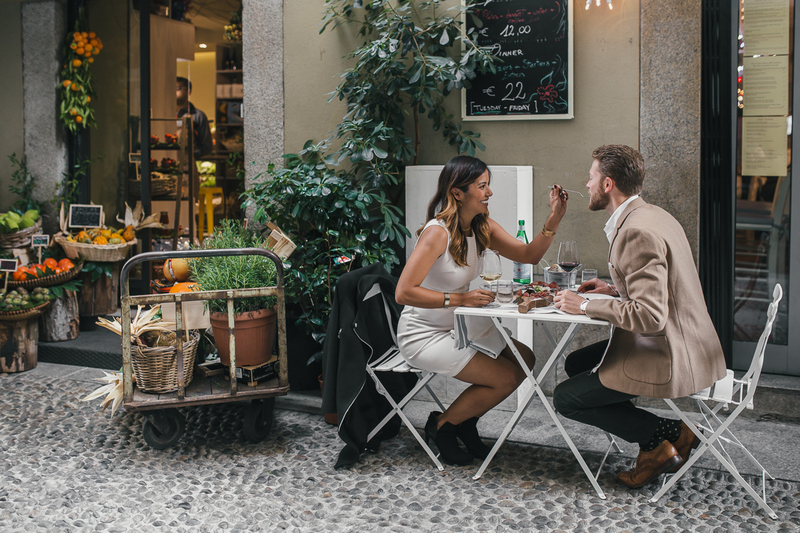 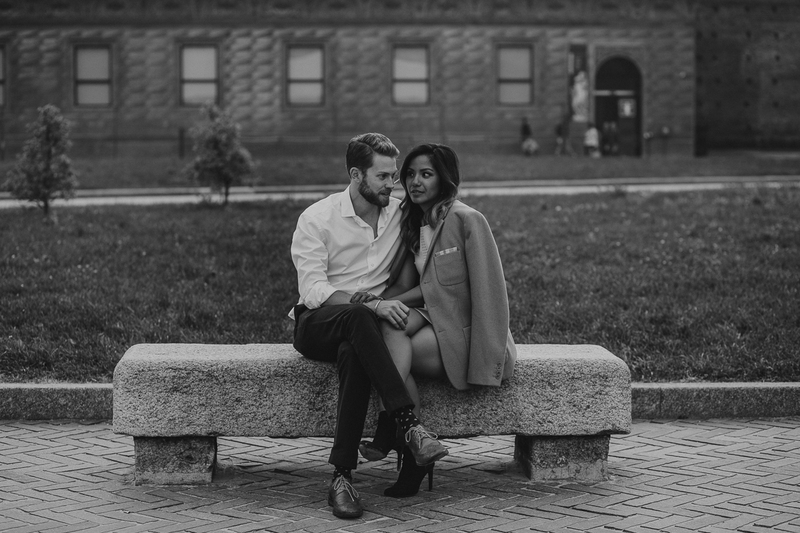 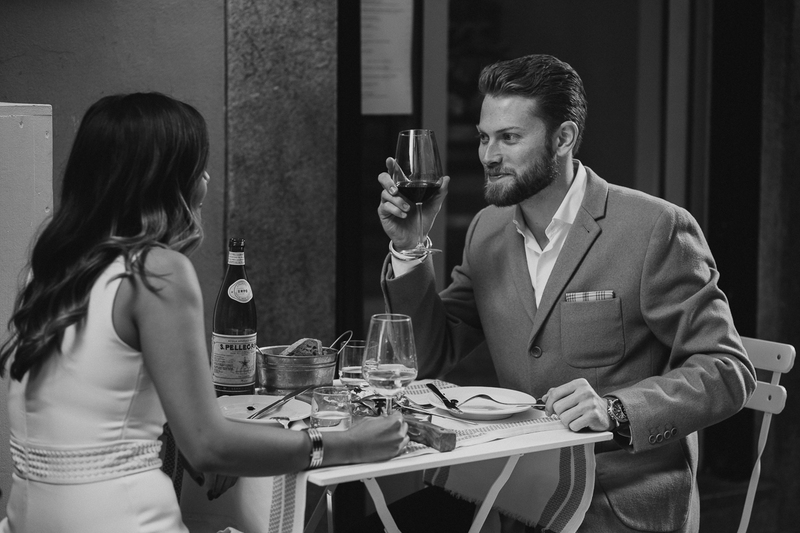 For this engagement photo in Milan, Kyla and Scott have a lunch break in a lovely restaurant in Brera. 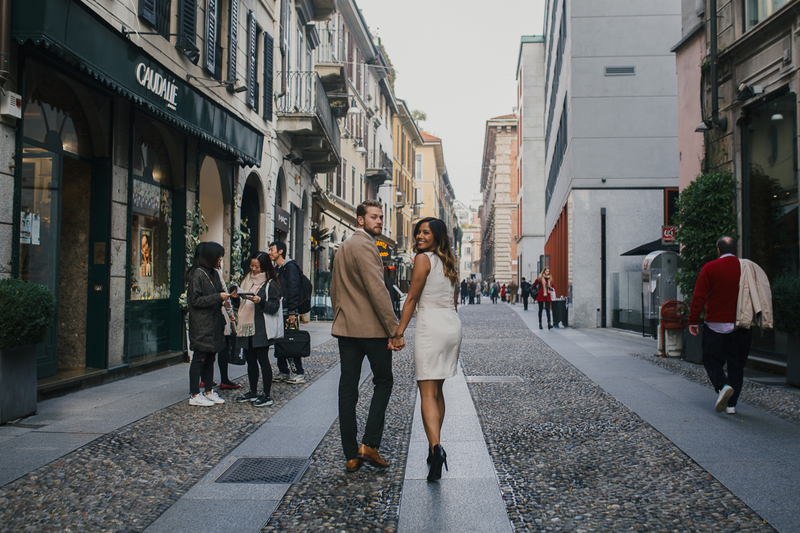 Walking in Brera area for a romantic engagement photos in Milan. 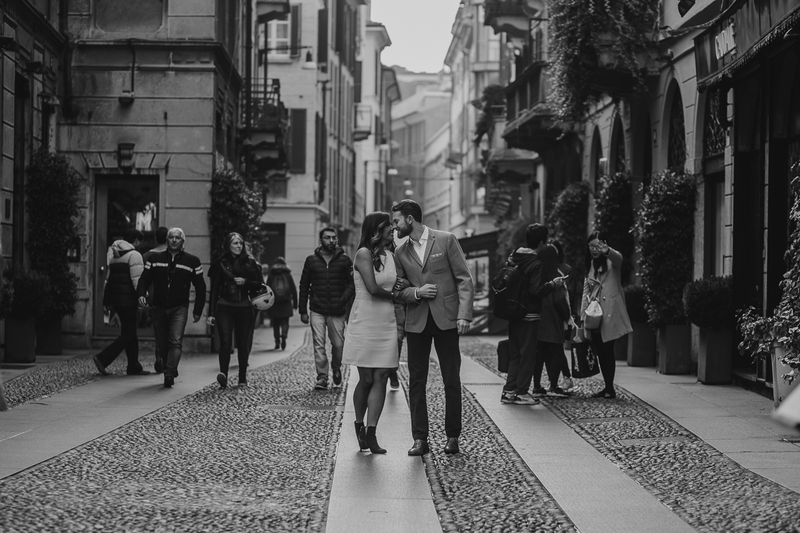 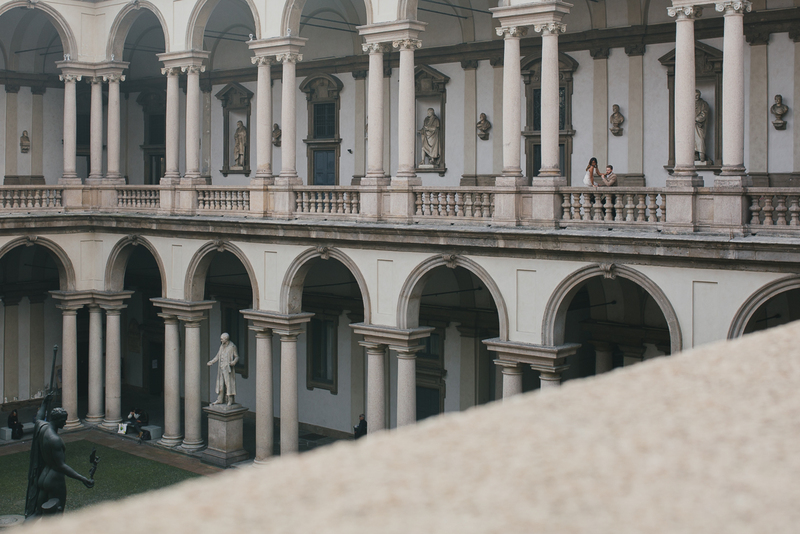 Discovering the Arts Academy in Brera, engagement photo in Milan.